In retrospect, Ocean City, MD and the Delmarva coast was spared from the wrath of Hurricane Sandy. Especially when compared to the destruction and hardships it caused to New Jersey and New York. The ‘Frankenstorm’ that was Hurricane Sandy did destroy much of the iconic Ocean City fishing pier. However the pier will be rebuilt back to its former self in preparation of the 2013 summer. An icon doesn’t just become one overnight. There has been a fishing pier, in Ocean City on that exact site for over 100 years. The first one being built in 1907. Over the years the pier has been home to a skating rink, bowling alley, theater, dancing pavilion, pool room and ballroom. Now it is home to some of the best Mid-Atlantic fishing along with spectacular views of Ocean City and Assateague Island. 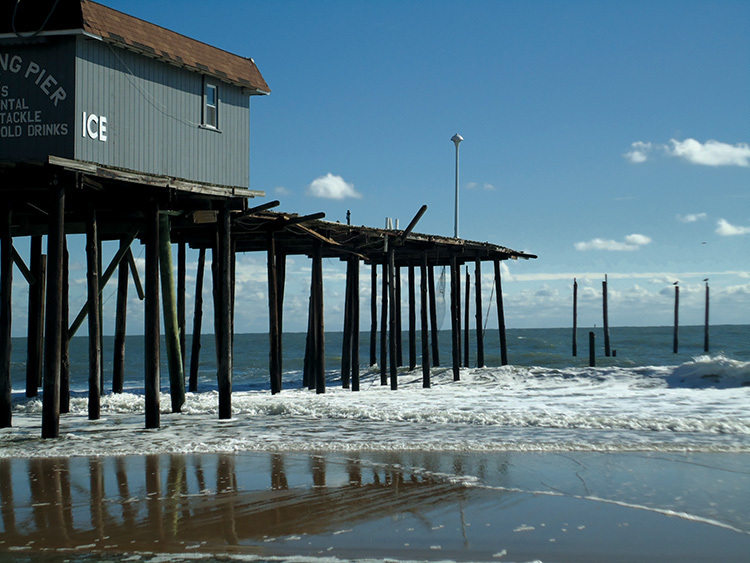 It is great news to hear that the OC Fishing Pier will be rebuilt for the summer 2013 season!